With A-level results day nearing, it’s important not to waste the summer before your next steps in life. Whether you’re moving to university, starting work or even taking further studies, it’s important to make the most of this time. Take a look below for some top tips on how to make memories which last a life time or to just feel productive! After the summer it’s likely everyone will be doing different things, getting everyone back together at the same time may prove to be a challenge for a little while. Take a group holiday whether it be a lads, girls or mixed group holiday, get everyone back together for a group holiday to celebrate your friendship and futures. Top summer destinations for a group holiday include Spain, Canada, Australia and Ibiza to name just a few. The most important factor to keep in mind when choosing a destination is making sure you choose a holiday which meets all your needs! Don’t forget to makes sure you and your friend’s are covered with a Questor Insurance travel policy with prices starting from £7.85 a day click here for a free quotation. Looking for a low cost break? Then why not consider a camping trip in the UK, make sure you choose a camp site with plenty to do locally and you will have a holiday which the whole group will be talking about for years. When it comes to summer festivals you are certainly spoilt for choice, no matter of your location or taste in music. A festival is like a giant weekend long party, but you’re your favourite bands and artists are performing. Not only can you and a large group of friends go together you will be sure to meet lifelong friends. None of your friends have the cash? Many festivals allow you to work on site for a number of hours in exchange for free entry to the festival! Go traveling for the summer! Traveling can be a great use of your summer break while helping to build confidence. Consider travelling to a volunteer destination, where you can get involved and really do something for the community. Not only will this look great on your CV and help you stand out from the crowd, but it will feel great to be impacting so many people in such a positive way. It will also be a fantastic conversation starter at your new job or university. Use the time to take up a new hobby or learn a new skill you have always wanted to do! Always wanted to be able to speak a new language or learn computer programing? This is a great time to really get stuck in and with unlimited resources on the internet it doesn’t even have to cost you a penny. Heading off to university after the summer? Replacing your gadgets can be expensive and stressful especially when deadlines are nearing. Make sure all your gadgets and tech are protected while you study with a Questor Insurance Gadget policy. For more information on out gadget insurance click here or contact us on 0333 323 0090. Good luck on results day from all the team at Questor Insurance! 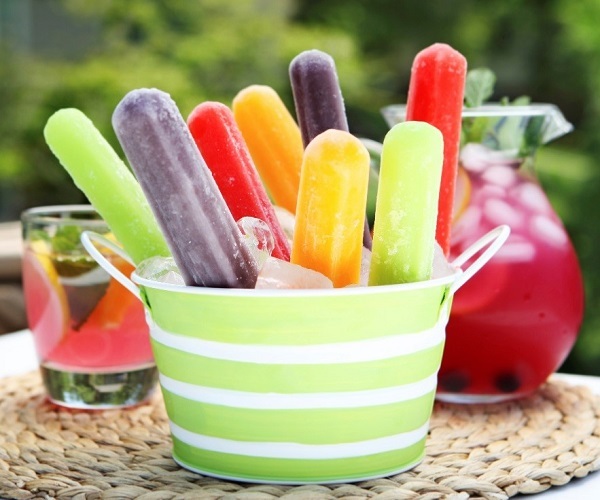 Which Ice lolly suits your personality?